July 1 is the 10th Anniversary of Hong Kong's Handover to China. To celebrate this significant event, a movie gala was held in Beijing on June 25th. 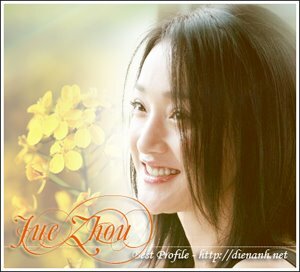 Zhou Xun took part in this event. She appeared with a white skirt and wore a watch in white also. Her hair ruffled a little bit but smile always on face. In the interview, she raised her hand and showed a silver ring on her middle finger. Because it is on the middle finger so the reporters expected there was no meaning. A funny story happened behind the stage. Jue and Chen Kun had an opportunity to meet each other in the Hotel. Unfortunately, they lost the way and ran into a cargo elevator before they set out for the Red Carpet. Then they chatted with a cleaner but forgot to ask the way, so they lost again when they got out of the lift.